The 119 Desk chair is ergonomic and offers support to your spine during long working hours. 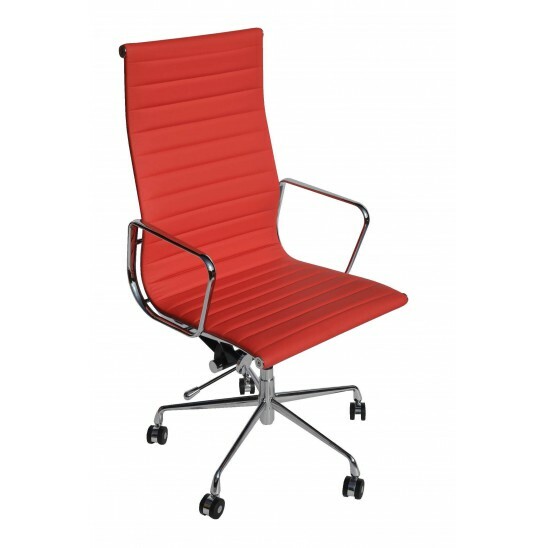 With chrome armrests to support you and the combination of real and imitation leather covering all contact points, this chair is both comfortable and stylish. It can tilt and rotates 360 degrees to give you complete freedom of movement. Available in a wide range of colours.